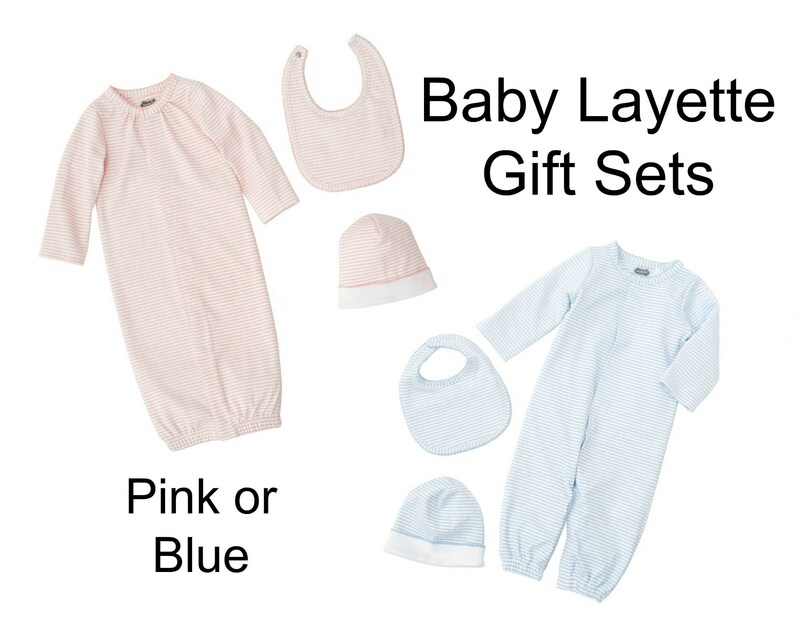 Give the ultimate baby shower gift with a darling layette gift set in pink or blue! Yarn-dyed 100% so-soft fine cotton sleep gown features picot stitched neckline, hidden bodice snap placket and encased elastic hem. Both the pink and blue can are convertible from a gown to a sleeper with snaps. Gown pairs with coordinating yarn-dyed cap and bib and arrives in elegant paper wrapped gift box with satin ribbon. 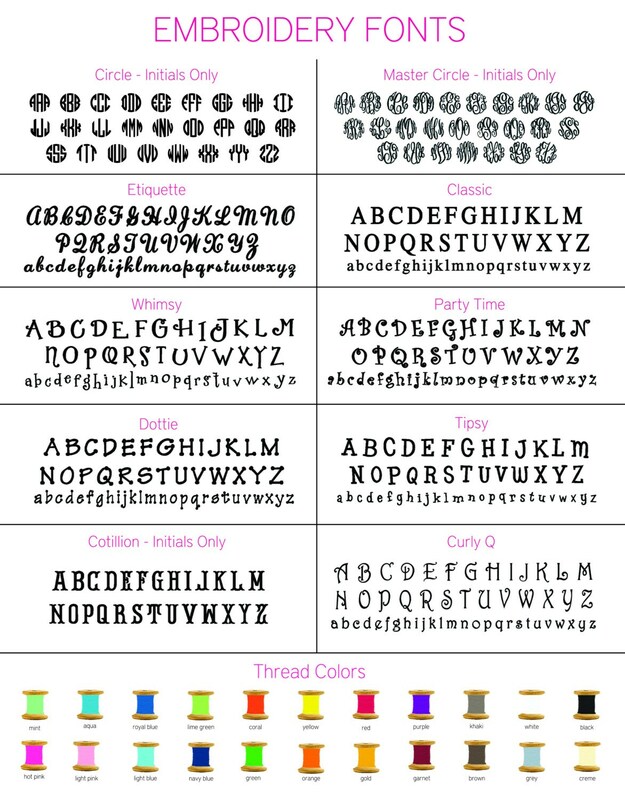 Monogramming will be on the gown and bib and is included!